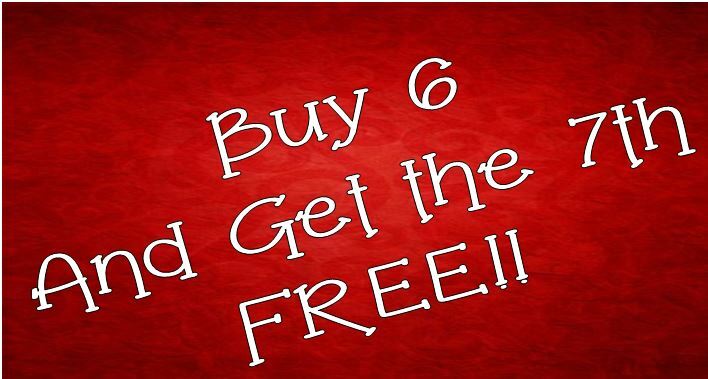 Buy 7 fat quarters or panels of fabric and pay for 6 and get your 7th for free. The discount will automatically be applied to the lesser priced item. This offer is cumulative, which means if you order 14 you get your 13th and 14th for free and so on. So take advantage of this great offer now. No extra postage or anything else, so buy up big and SAVE!! p.s it doesn’t even have to be, all the same fabric or anything.